In 2011, ZSL teamed up with luxury department store Selfridges and created Project Ocean as a way to make a positive difference by changing consumer buying habits and engaging people in the plight of our oceans. The campaign communicates ocean protection in a constructive, compelling way. As part of Project Ocean, we created the Marine Reserves Coalition (MRC), bringing together leading conservation organisations to e.g.support establishment of new MPAs. Great British Oceans, co-founded by Project Ocean in 2015, is a call to the UK government to establish large-scale marine reserves in some of the UK Overseas Territories. The campaign quickly gained broad public support resulting in the UK government declaring its intention to create the world’s largest marine reserve around the Pitcairn Islands, South Pacific. During the 7-week campaign period in the 1st year, £120,000 of funds were generated. These were used to create the 50 ha Selfridges Marine Reserve in Matabao, Philippines in 2011, managed by the local community. Building on its success, the project is now helping to strengthen other marine reserves within that region. 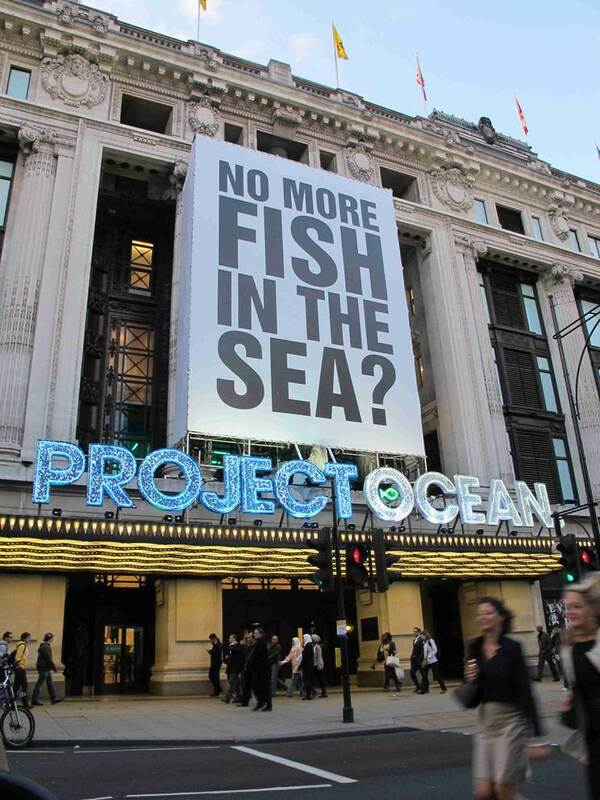 In the 1st year of Project Ocean, Selfridges undertook an audit of its Food Hall and restaurants, and with guidance from project partner the Marine Conservation Society, replaced all products that were classified as ‘red’ on the MCS Good Fish Guide with sustainably sourced or ‘green’ products. With technical advice from ZSL and Oceana, further audits followed on the use of shark by-products in cosmetics, and on marine plastic pollution.